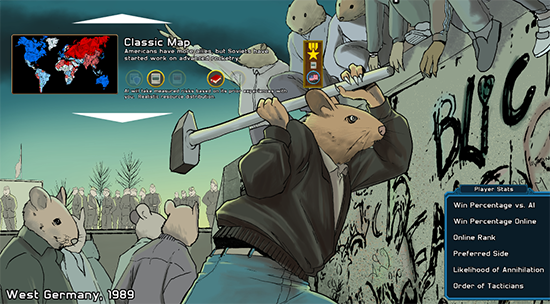 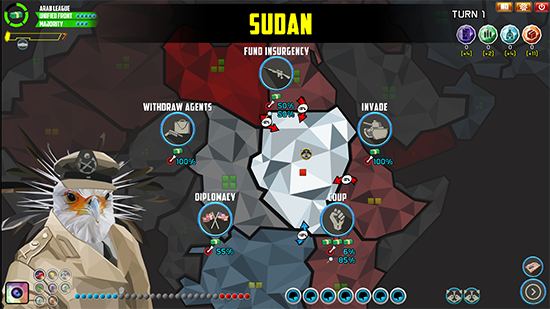 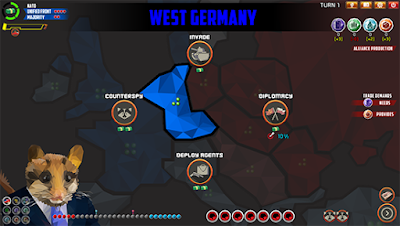 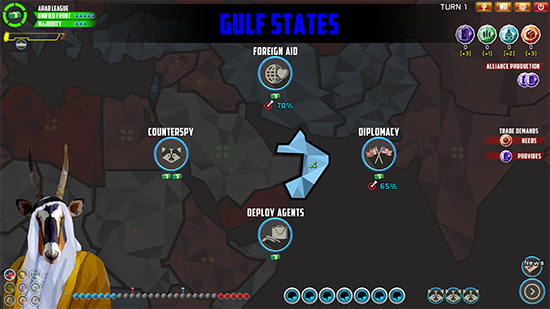 Upcoming war and diplomacy game Precipice will launch May 1st on Steam! 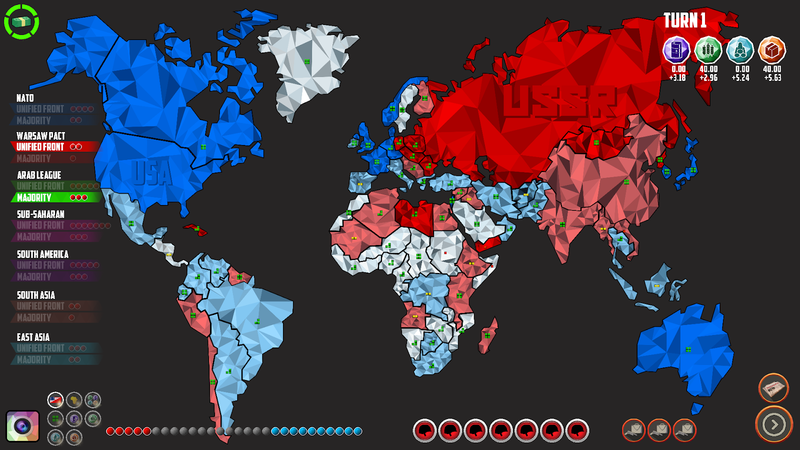 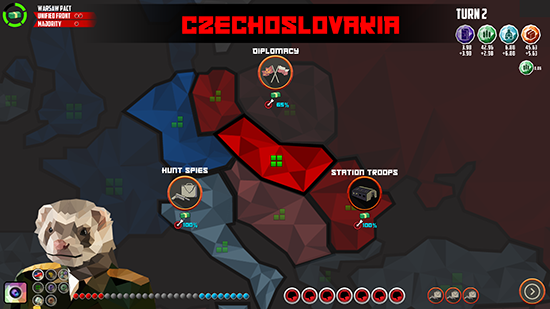 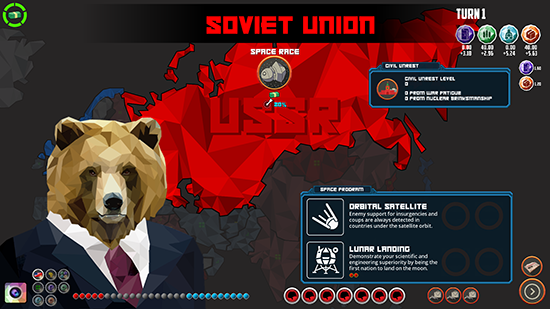 Jump into tense matches of Cold War chicken in single-player or against a rival in 2-player online matches. 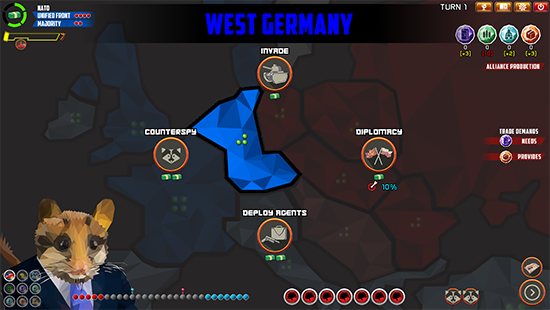 Precipice is unique in that it lends itself to missile-crisis standoffs where the last one to blink wins, but push too hard and the whole world may be lost. 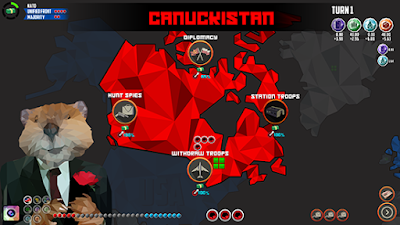 It spans forty years of hostilities between the United States and Soviet Union, and forces players to decide when to push their own contentious actions and when to back down from them. 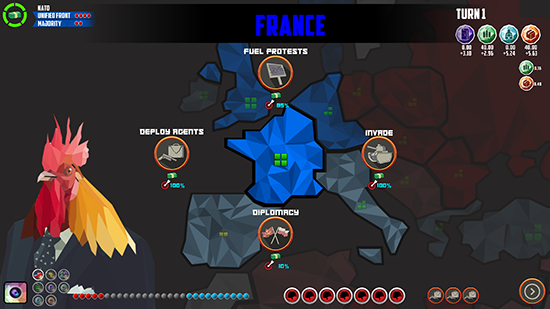 The advanced AI observes player behavior and makes assumptions and judgements about their rival’s personality and character, their intended strategy, and develops a plan of its own to counter. 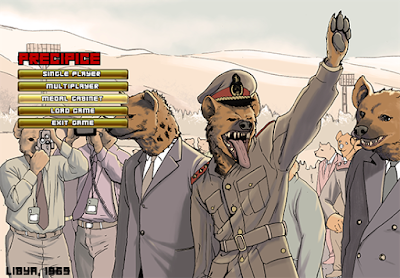 Also, it features (adorable) animals in suits. Drawing loose inspiration from Chris Crawford’s Balance of Power (1985) and GMT Games’ Twilight Struggle, “Precipice isn't a wargame, it's a game of subterfuge," according to lead developer Ryan Hewer. 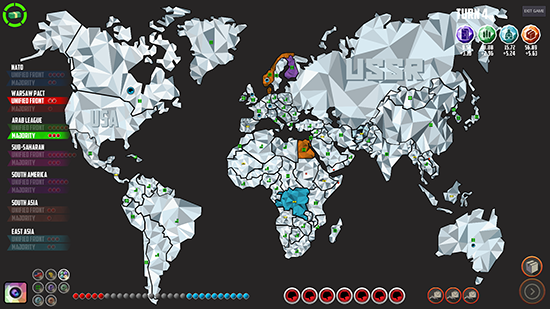 World leaders from 72 countries realised as animals native to the region, all pawns in the dangerous game of nuclear chicken. The third commercial title from developer LRDGames, Precipice will retail for $11.99 for Windows and Linux platforms. 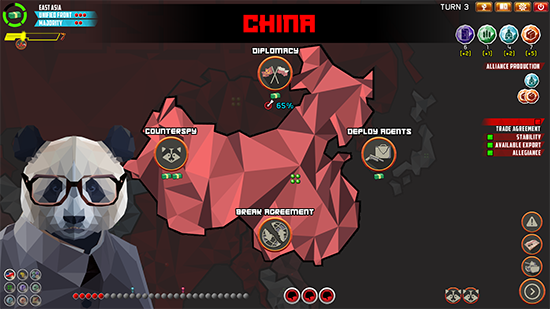 At launch, it will feature Steam lobby integration, player-rank unlockables, multiple map modes, multiple AI settings and the likenesses of seventy-two world leaders caught in the crossfire between two global powers.